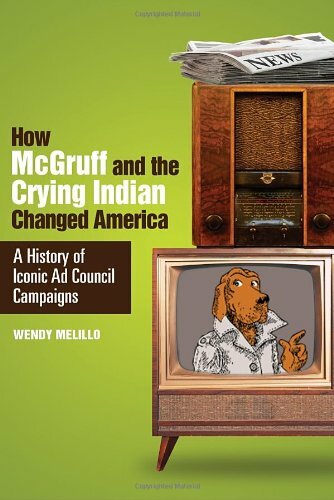 How McGruff and the Crying Indian Changed America: A History of Iconic Ad Council Campaigns details how public service advertising campaigns have been influenced by corporations and the government, becoming part of our national conversation and changing us as a society. In this book, Wendy Melillo discovers that Smokey Bear helps the U.S. Forest Service promote policies that increase wildfire activity and that the Crying Indian shifted blame for pollution from industry to individuals. She investigates these and many other Ad Council campaigns, including McGruff the Crime Dog and Rosie the Riveter, that have drawn both praise and criticism over the years.